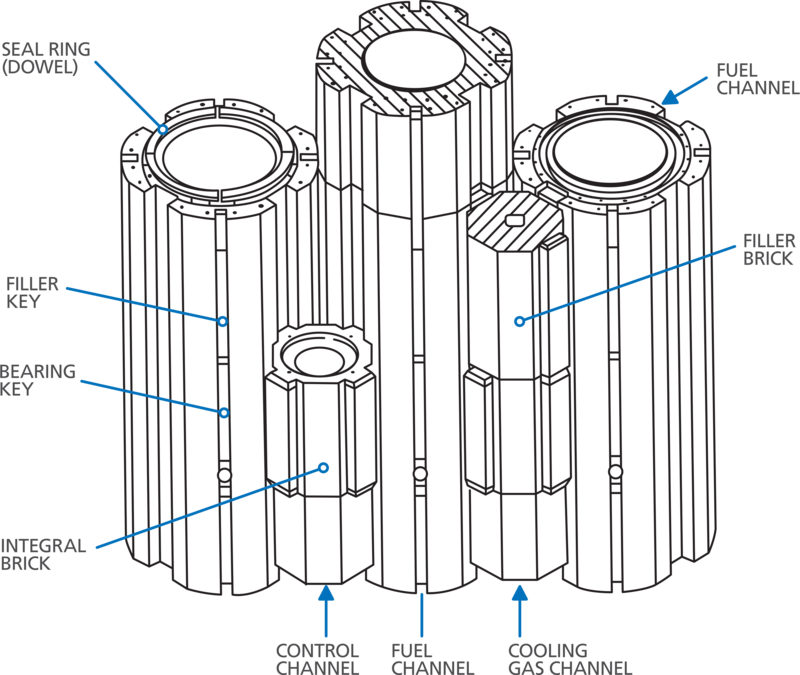 We know that the graphite at our gas cooled reactors will deteriorate over time. Our research gives us an accurate picture of the way a reactor core ages, allowing us to plan for the future. Over time, the graphite also slowly loses weight as part of the normal ageing process. This is a well-known phenomenon which was fully considered as part of the stations’ design and is factored into safety limits approved by the independent regulator, the Office for Nuclear Regulation (ONR). We have been working over many years to fully understand and prepare for these late life changes to the reactor core and regular inspections at all our plants have provided a clear understanding of how the reactor core ages. We have a graphite research programme which benefits from the expertise of our own team of specialists, along with expert academics at many of the UK’s leading universities and companies. We remove the fuel from the channels and then lower down specialist measuring equipment and cameras to record the data. Each time we monitor we inspect enough channels to give us a good understanding of the state of the core. During statutory outages – which are similar to carrying out an MOT - we perform further inspections of the reactor core by extracting a sample of the graphite core that is then sent away for detailed analysis to confirm the level of weight loss. The results of these inspections allow us to add to our understanding of graphite behaviour, and confirm that our reactors are ageing as expected. The main purpose of the inspections is to confirm that there is no significant movement of the graphite bricks. They also confirm our assumptions on how the core is aging and enable us to demonstrate that, even in the event of a major earthquake, there is no significant impact on the core in terms of distortion, and would not present a challenge to the operation of the control rods or other shut-down systems. They also ensure that the weight loss we are finding remains within the limits agreed with the regulator. Find out more about the role grapite plays in our AGR reactors and watch a video by Dr Jim Reed, Graphite Chief Engineer at EDF Energy. The University of Bristol has developed a quarter sized physical model of an AGR reactor which sits on a hydraulic earthquake simulator platform and is subjected to a range of seismic events to monitor how the core would be affected.